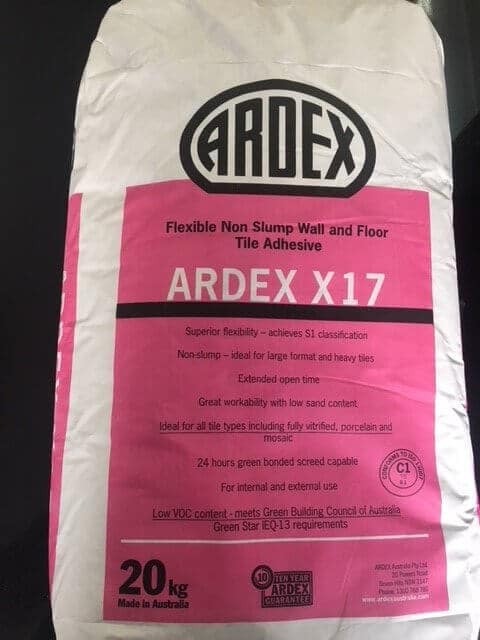 ARDEX X17 is a white polymer fortified cement-based wall and floor tile adhesive that has been specially formulated with mastic type properties, suitable for internal and external use in residential and light commercial applications. 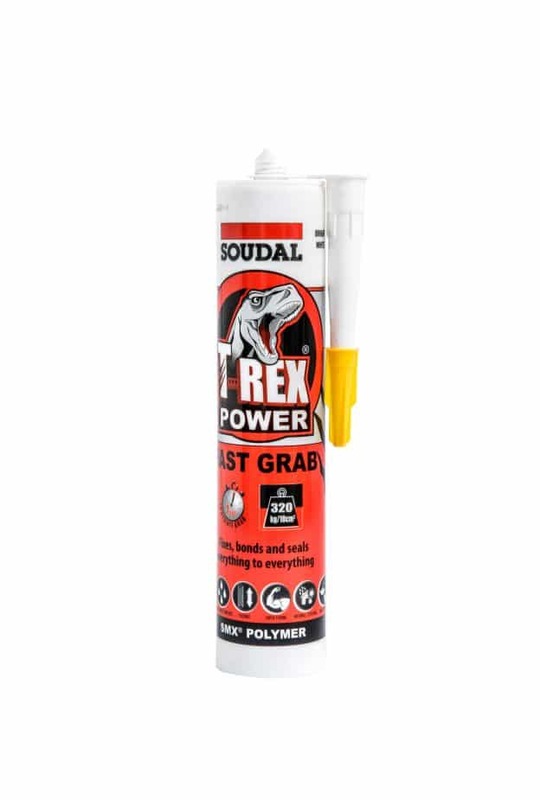 Forticrete Glue: is a rubber-modified wall and floor adhesive for fixing ceramic tiles in internal and external. 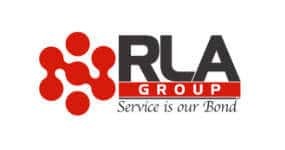 It can be used over render, plasterboard, fibre-cement sheets and concrete in situations where minimal movement is anticipated. 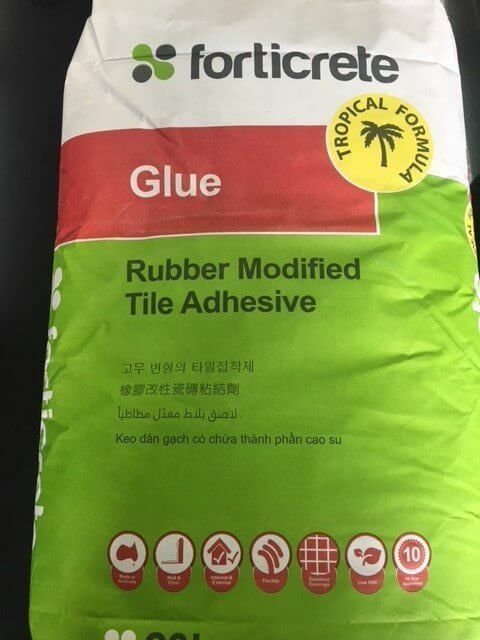 Unigrip is a Premiun grade polymer modified non rubber flexible white cement based tile adhesive, Fibre reinforced non slump and is ideal for large format tiles, can be used internal / external / wall/ floor. 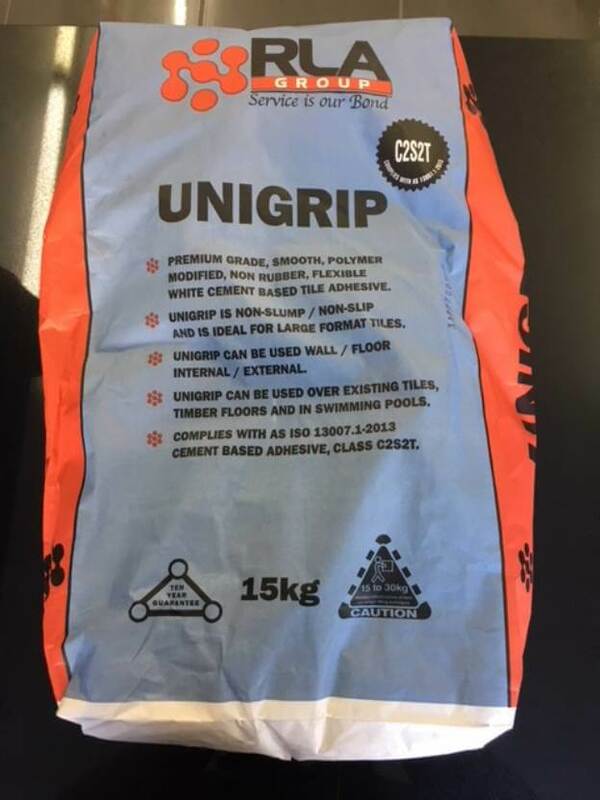 UNIGRIP can be used for fixing Porcelain and Vitrified tiles, UNIGRIP can be used to fix tiles over existing tiles. 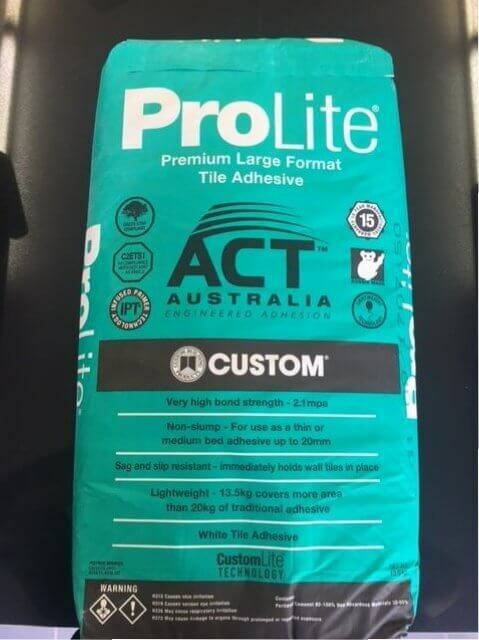 adhering most types of tiles & porcelain including large format tiles.